If you didn’t get your fill of margaritas, mustaches, tacos, giant sombreros and tequila this weekend lucky for you today is the “official” day to celebrate Cinco De Mayo or as I like to call it Cinco De Drinko. I’ve pulled together a few fun ways to Ole’ your way through your Monday work day! MacDintons in South Tampa is hosting a happy hour with a Dos Equis Bar, jalapeño eating contest and giving FREE sombreros to the first 100 people. Cost is $15. 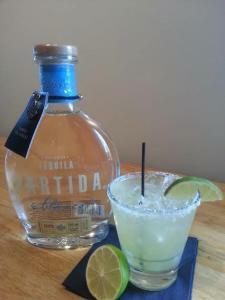 Café Dufrain, located on the water on Harbour Island is celebrating with $5 margaritas ALL day! I suggest their local shrimp tacos, they are to diiiiiiiie for! Yumo! Oxford Exchange is hosting a Cinco De Mayo celebrating featuring the OE’s Chef’s tacos and cold pressed market margaritas! 5:30 p.m. until 9 p.m. No reservation is required, but we suggest you call ahead and reserve a table 813-253-0222. Irish 31, located in Hyde Park Village Cinco Happy Hour begins at 3 p.m. 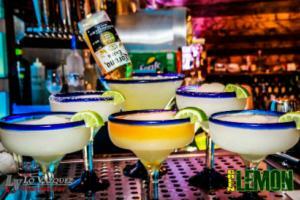 Enjoy $3.05 margaritas and loaded coronas for $6. Green Lemon in South Tampa is continuing their Cinco weekend celebration through tonight. Enjoy $7 Patron Silver shots, $4 house tequila shots and many other food and drink specials. The Lodge in South Tampa is opening today at 5 p.m. for Cinco and will have specials that include $3 Coronas, $3 Tequila Jell-O Shots and $5 Milagro. 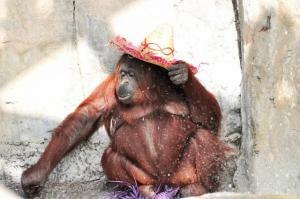 Now, I will leave you with a picture that is equivalent to my love for loaded nachos (that includes extra jalapenos), an orangutan from Tampa’s Lowry Park Zoo in a sombrero..... De nada!